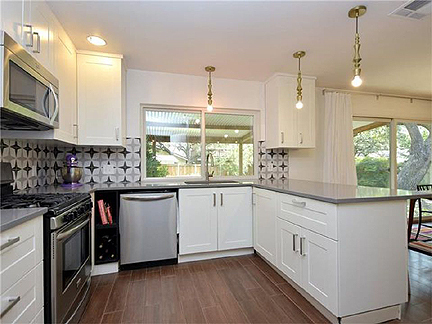 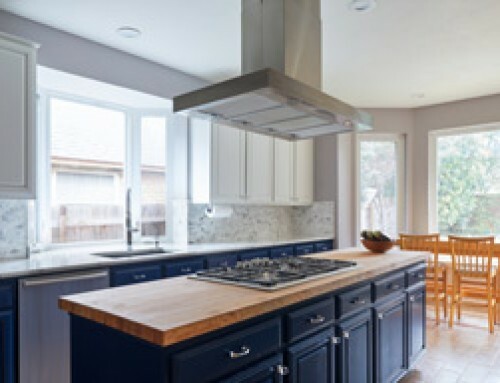 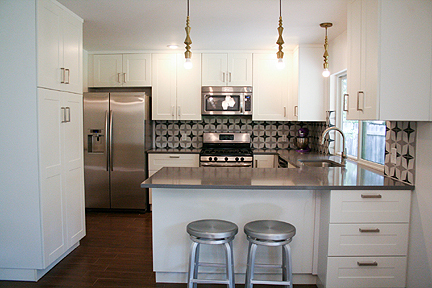 This Northwest Austin kitchen remodel kept its original footprint, but features new Shaker-style white cabinets, a concrete tile backsplash, gray quartz countertops and loads of personality. 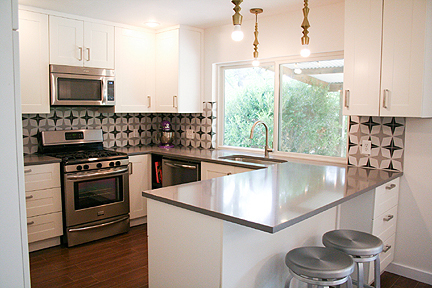 The white, black and gray concrete tile backsplash makes a modern statement, and feels friendly in this inviting kitchen redesign. 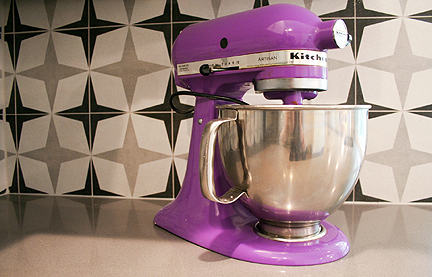 We’re in love with the homeowner’s purple KitchenAid mixer–the perfect accessory for a fun space. 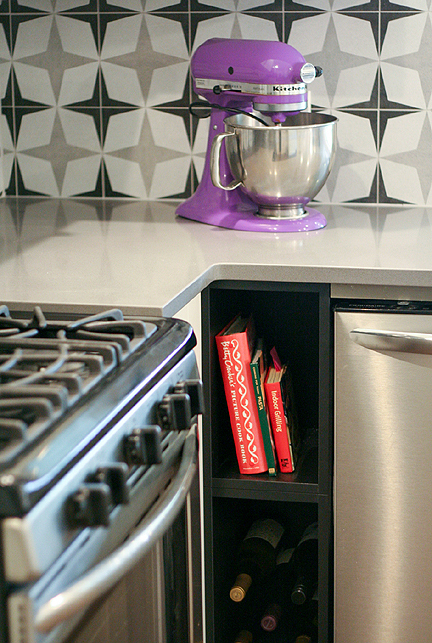 A narrow black bookcase is a functional filler between the cabinetry and the stainless steel dishwasher, and offers an opportunity to display cookbooks or store a little bit of wine. 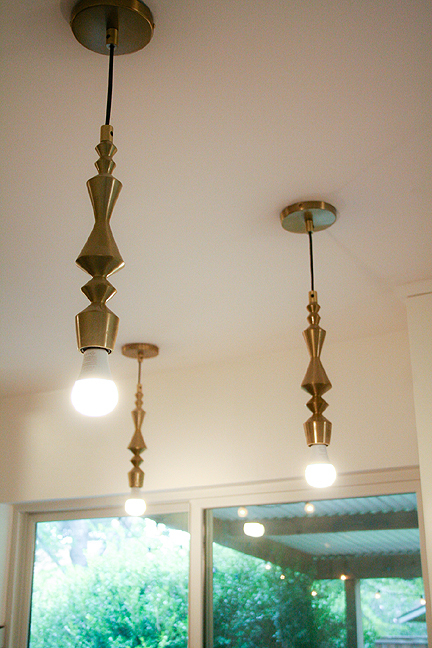 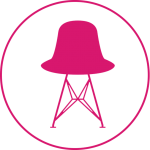 Brushed brass pendant lights suspended over the sink and peninsula add a hip, quirky touch. 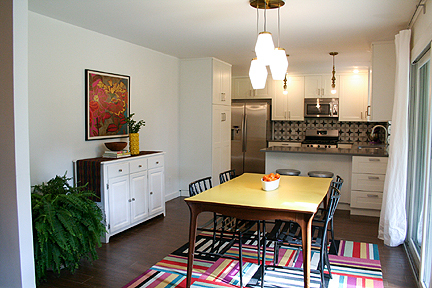 The adjoining dining room adds some mid-century flavor. 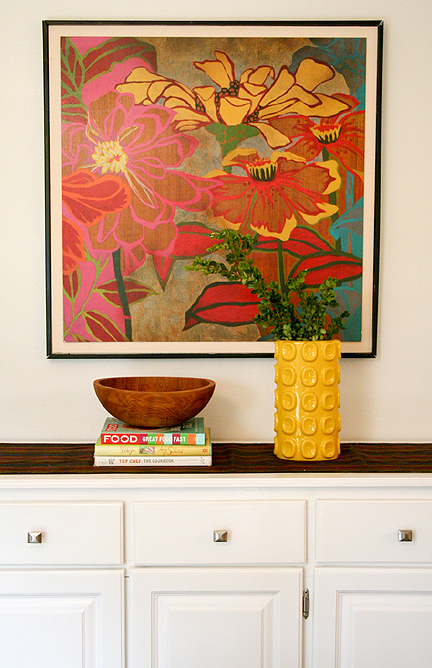 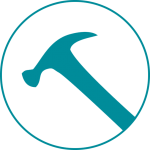 We turned a damaged Craigslist find into a funky showpiece by recommending a hot yellow paint for the damaged tabletop. 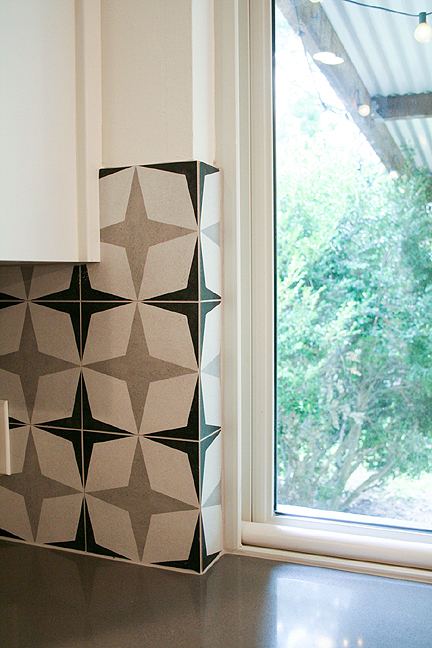 Leaving the undamaged wood skirt and legs alone gives the piece some contrast. 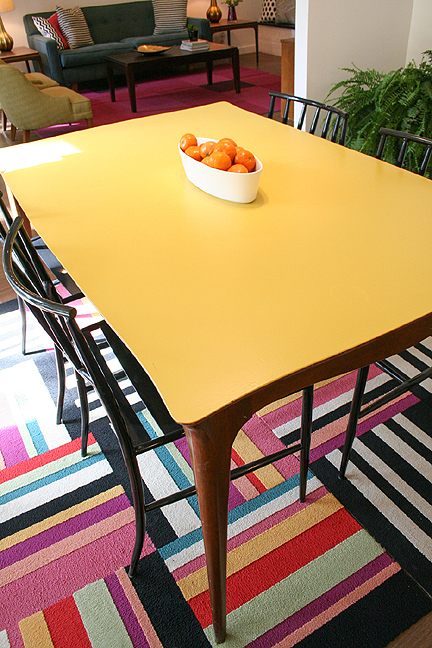 Striped carpet tiles create a kid and pet-friendly rug under the table, and the homeowner’s white buffet offers additional storage. 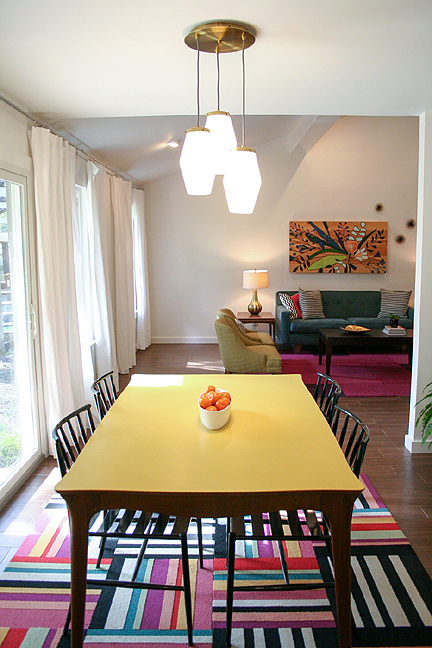 The mid-century-inspired three-tiered pendant light above the table finishes the look. Unless otherwise noted, all photos by Claire Barrett Patrick.